A concert film was shown in cinemas prior to the release. But this version was strongly interrupted with interview sequences sometimes merging into the song. This cinema version is included in the Deluxe-Boxset, yet the uncut version remains the core of all formats. This concert film is released on DVD and Blu-Ray. The single discs contain the uncut concert film as well as the short documentary “The Visual Approach”. In addition, there will be a Deluxe-Edition for both formats with a Bonus DVD/Blu-ray as well as two CDs that contains once more the gig in audio format. This double CD isn’t similar to the Encore Series, but a concert-fim mix (see below). The Delux Edition comes out as a square-cut picture book, which features photos from York Tillyer and Peter Gabriel himself. In addition there is a quite long preface that spans from the 1987 This Way Up Tour to the current Back to Front Tour. Notably, the new piece that was designated O But - performed during the Tour and also contained on the Encore CD’s - is now named Daddy Long Legs. Furthermore, Gabriel mentions Genesis: he confirms fan speculations that the show insertion at The Tower That Ate People pays tribute to his time with Genesis (The Lamia). The film – as for Growing Up Live und Still Growing Up - Live And Unwrapped - is directed by Hamish Hamilton, he also was in charge for one of the last Phil Collins concert movies, Finally: The First Farewell Tour. Hamilton with his company Done & Dusted is a big name in that business, well known for ambitious tour shots with partly adventurous camera angles. Beside Gabriel, bands like U2, The Rolling Stones , Robbie Williams, Madonna or Eminem requested his attendance. As reported by concert attenders, Hamilton, had again a bunch of ideas: once for a cell shot during a chosen song, then a single visitor had to shout out “turn the light off”. Unfortunately both actions didn’t find their way on the Blu-Ray/DVD. 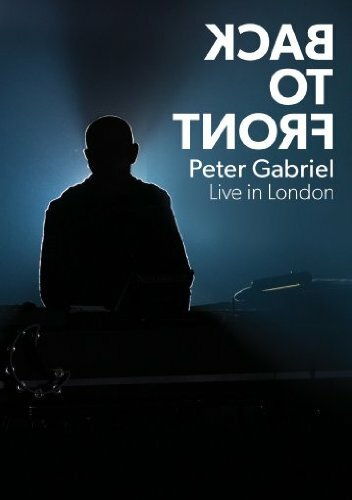 It is to mention that Hamish Hamilton recorded Back To Front: Live In London in Ultra High Definition 4K, that technically could only be displayed in a few selected movies. But as the Blu-Ray release is limited in its own technical facility, only the “Full-HD” will be available. The concert film begins with the same cup of coffee sequence as the cinema version. Gabriel shortly explains in what distinguishes him from the stage character, and then the show begins – without further interview sequences. The camera work ranges from unagitated to creative or impulsive skills. Hamilton manages perfectly that there is no boredom all the way through the movie. During So, respectively the live show, the required shooting happens on the “adequate” parts, which is rather difficult in itself filming a gig. In some songs Hamilton alternates between average view and effects sighting the stage video screen. Then he adjusts his camera in order to obtain a rough view deliberately. That concerns the Gabriel-perspectives shot from a light crane, during The Family And The Fishing Net. As a matter of principle, it’s this very song that gains tremendously, compared to the rest of the concert film experience, mainly due to the appearing details on screen. During Digging In The Dirt and especially Secret World, a big amount of the show impact is transmitted in the concert film. In any case it is Secret World that remains the big Gabriel number of all times, as far as subjectivity of the reviewer allows it. This song was never a hit, but a classic number every time. It’s Gabriel’s Home By The Sea, undestroyable, always a highlight. During the electrical set, Hamilton shows generally high-contrast stage details, while playing with near and far angles in the acoustic set has become his game. Attenders of the movie-screening certainly remember the Solsbury Hill collage. Hamilton mixed up different tour takes. The whole looked like a sort of farewell, even if it wasn’t intended that way. 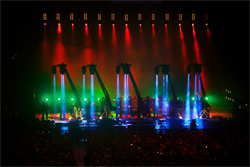 The regular concert film doesn’t feature these scenes that also are to be seen on Sledgehammer, nevertheless, they are included on the bonus DVD/Blu-ray. The So-set turns into a colorful moment. Even here, Hamilton succeeds in a global and detailed view mix. He almost renounces totally on delayed effects (as seen towards the Don’t Give Up ending) but offers interesting bird’s eyes views, that happens not only in awesome sights as in Mercy Street. On more time, the cameras are set in the most absurd angles. Once the spectator is driven on stage virtually, placed in the middle of the happening, than taken back in the crowd to view the set from a global perspective. On the other hand Don’t Give Up isn’t as thrilling as during the gig, probably due to the numerous fan cheering for Jennie, in some locations, captivated attenders were almost tearing down the concert halls. In contrast We Do What We're Told is extremely intensive. For this song, different camera settings and the quietness in the hall allow special bizarre moments. Daby Touré appears on stage during In Your Eyes. He already supported Gabriel for the same song on the (Still) Growing Up Tour. Again some instruments are kept winsomely in the foreground, for instance the drums in Come Talk To Me or Sancious’ guitar-like key riffs in Shock The Monkey. 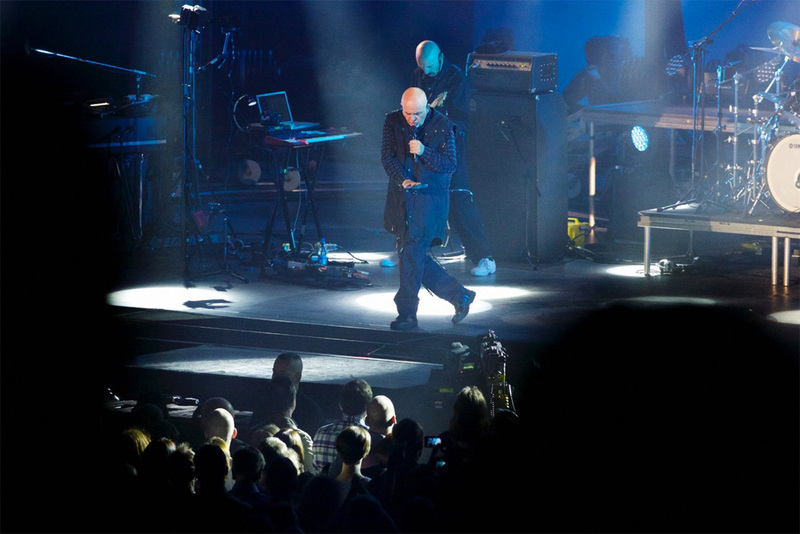 Many songs gained in power and groove as for Solsbury Hill or Red Rain. That's very enjoyable and adds the essential kick. Otherwise, there is a strange and precise cut during the Family Snapshot, when the lights are turned down. That doesn't sound really nice. 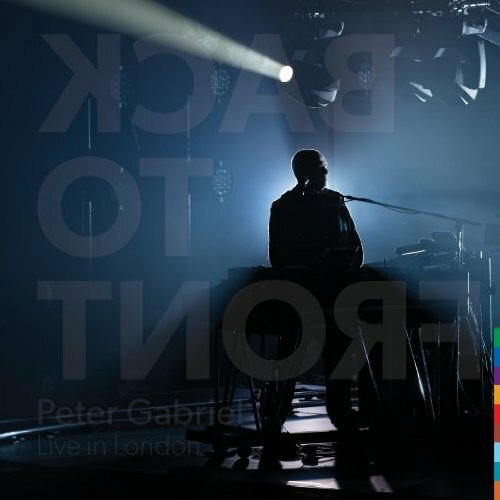 It’s also regrettable that only the London II track was chosen for the first verses of Come Talk To Me, the lower transposed one, instead of the more dynamic sounding London I track. That has probably something to do with the cut of the film. Noteworthy else, the audio work of the drums in Familiy And The Fishing Net. Those sound dryer and harder as in the Encore series, but it’s a plus after all. All in all the sound track works very well, nobody can complain at all..
A doulbe CD is inclouded in the Deluxe Boxsets, it's mainly the same as the concert film audio track. However, announcements are cut out beside of those before Biko. Therefore the first track Daddys Long Legs begins without applause, nor an introduction. It’s a hard start for a live album. Acclaims are again deleted then and the transition to Come Talk To Me is tough once more. Some similar situation happens still at the end of In Your Eyes, there again applause has been deleted so that The Tower That Ate People begins with the cut of a long lasting note that sounds really weird. Otherwise there is no further surprise compared to the film, and all in all it’s a well done live album of a successful tour with an amazing line-up. Both standard DVD or Blu-Ray contain merely the six minute lasting The Visual Approach, a typical Behind-The-Scenes documentary – entertaining, but a little short. Yet the Bonus DVD/Blu-Ray includes even more material. On the one hand it’s the cinema concert film version, on which not only a bunch of songs were deleted, but some other songs that even were shortened. For many, the interview-interrupted songs were annoying, placed in between the songs or hiding a song introduction. The interviews themselves are interesting, but not addressable individually in the DVD / Blu-ray menu. In addition, there are two gadgets: featuring a collage-version of In Your Eyes, that Hamilton didn’t use in the movie version – most likely because that version contains some breaks, and isn't as fluid as the two other version. That results in a consecutive cut of the special guests of the individual tours, which also means it's an audio mix of the different perfoemnces. Furthermore, there is a fan-camera version of This Is The Picture. Hamilton did a cut of fan videos all in YouTube Quality (featuring the concert track from the DVD). We didn’t count how many sequences were chosen for this cut. There were talks about including this cut in the main movie, but the idea was canceled in the end, whatever the reason was. Anyway it’s a nice bonus-gimmick, no more, no less. Once more, Gabriel isn’t miserly with his fans, he releases a gig with a complete set list. This time around he produces an all-round bash and releases both, the single concert film as well as the Deluxe Edition with an art-book – on DVD and Blu-ray, repsectively. 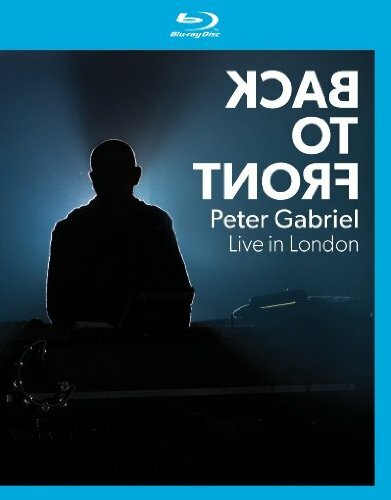 Apart from the possible collector’s moaning for that very reason, Peter Gabriel has submitted more than a solid work. Picture and sound are tremendous, camera work is phenomenal. Maybe the high standard quality of the film is the reason why some could argue about the bonus material “ok, it could have been more”. But let’s be fair: it is a wonderful insight of the tour, and a beautiful commemoration. - "The Visual Approach" – Featurette (6 min).